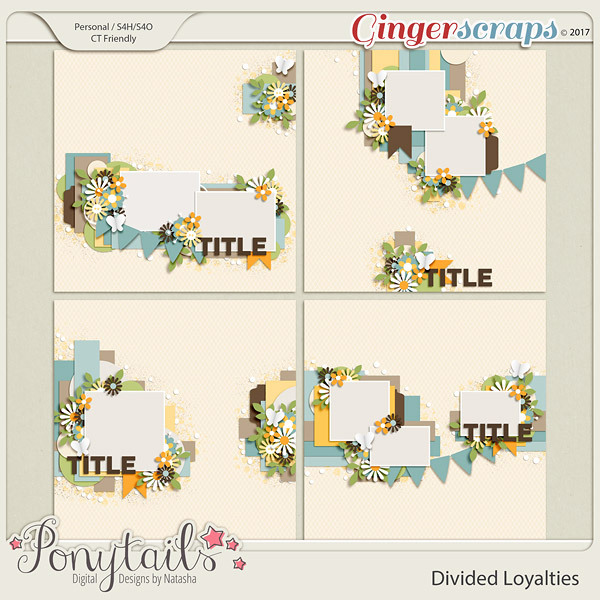 Ponytails Designs has just released an adorable new template pack. Introducing Divided Loyalties, and it's on sale through the 29th. 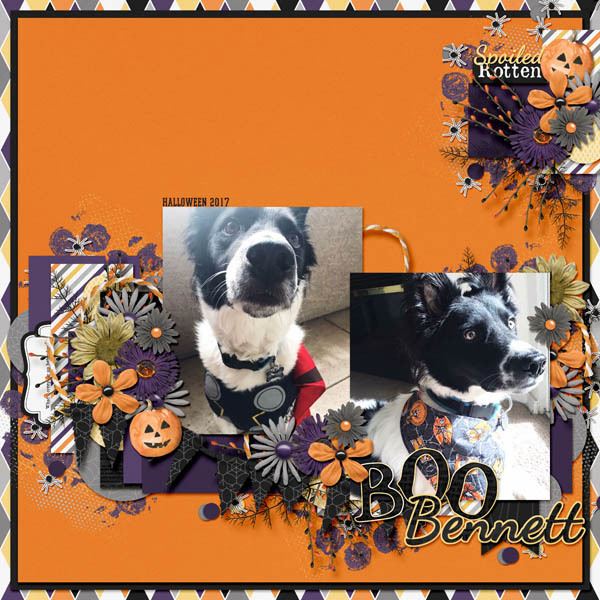 I used her latest kit, All Hallows Eve to create a fun layout of my daughter's dog all dressed up for Halloween this year.